Like many cities, Troy is trying to figure out how Airbnb rentals fit into the existing legal and regulatory environment. Technology offers new ways to organize our economy to improve our lives. Hopefully our laws and regulations will accommodate such new ventures. Airbnb is an online home sharing platform launched in 2008. People can rent out their home while on vacation or even an extra room while they are home. Airbnb does not own properties, instead it connects renters with hosts and provides trustworthy information about both parties. A growing economy must create new things and new ways of doing old things. The new sometimes renders the old obsolete, and legacy businesses unable to keep up may go bankrupt. This process, labeled creative destruction by economist Joseph Schumpeter, ends up making us better off. But new things can disrupt old ways, including the categories of our laws, regulations, and contracts. Airbnb rentals create issues for Troy’s business licensure and zoning laws. New or unforeseen circumstances challenge our existing agreements. Law and economics teaches that business contracts cannot spell out exactly what the parties must do in every possible circumstance. For example, suppose that a stream serves as the boundary between two farms. If a flood alters the stream bed, does the property line change too? Laws are similarly incomplete. People in the early 20thCentury wrestled with whether flying an airplane over someone’s property without permission was trespassing. Today we face a similar question with drones. The common law in England and America tended to evolve to handle new situations. Judges would make a ruling, but the precedent was not completely binding. A decision which proved too costly could be adjusted through trial and error. Planes were determined to not be trespassing, and modern aviation developed. The U.S. Supreme Court arguably applied an adjustment process this year. The decision in South Dakota v. Wayfairallows collection of sales taxes from online retailers lacking a physical presence in a state. The Court overturned its decision in Quill v. North Dakotafrom 1992, which increasingly seemed inappropriate for an age of online commerce. Airbnb similarly challenges Troy and other cities. A business license is not needed to rent your house or sublease your apartment. But many properties listed on Airbnb are exclusive short-term rentals and function equivalently to hotels. Perhaps cities will make Airbnb get a business license in each community where it has a host. Zoning laws try to limit costs arising from conflicting uses of nearby properties. People do not typically like to live next door to factories, so residential, commercial, and industrial zones locate factories away from homes. Similarly, homeowners do not want the house next door becoming a party pad for a procession of visitors who may not fear offending strangers. Covenants adopted and administered by homeowners’ or neighborhood associations provide an alternative to government zoning. Many homeowners’ association agreements did not foresee the emergence of a short-term home rental market. Airbnb hosts have seen their neighborhood associations limited short term rentals after they listed their homes on the site. Some libertarians celebrate disruptive technologies like Airbnb and ride sharing services Uber and Lyft as ways to repeal in practice excessively restrictive taxi and zoning laws. I sympathize with this argument; New York City’s limits on cabs left many residents without legal taxi service, while zoning has often enforced racial segregation. Zoning is one of the tools Americans use to prevent any change. The “Not in My Back Yard,” or NIMBY, syndrome dominates in much of American today with significant negative consequences, as economist Tyler Cowen details in his The Complacent Class. Nonetheless, ill-advised laws are better repealed, as we risk creating legal questions over technologies which should make our lives better. Cities enact laws to make our lives better. We can demand that business license laws and zoning not be used to crush innovations that should improve our lives. Our regulations should adjust with the economy, just like our contracts and laws. 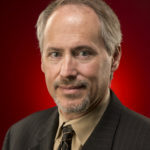 Daniel Sutter is the Charles G. Koch Professor of Economics and the Director of the Manuel H. Johnson Center for Political Economy at Troy University and host of Econversations on TrojanVision.